Center for Business Ownership Inc. 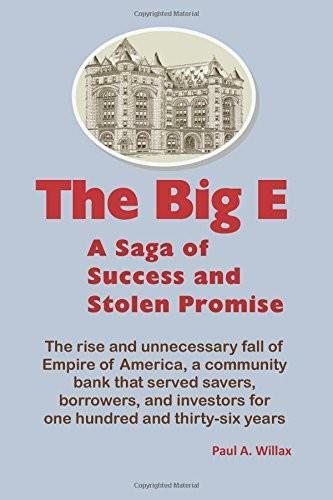 This revealing digital eBook is available free to former employees and shareholders of Empire of America, a federal savings bank once headquartered in Buffalo, New York. To register to receive a 100% discount coupon simply fill out the information box below. You will immediately receive a coupon code that can be used to cover the full price when you checkout and purchase the eBook in the Bookstore on this web site. Make sure you select the version of this book that is compatible with your digital reading device, i.e. either MOBI format for Kindle or EPUB format for almost all other readers. If you do not own an eBook reader and would like to access this book on your tablet, smartphone, or PC, click here and request a book published in the commonly used PDF format. (The PDF format can also be read on Nooks and Kindles.) Most mobile devices are sold with built in PDF readers. However, if yours doesn't offer one, the app can be downloaded for free at: https://get.adobe.com/reader/ If you desire a PDF version of the book, simply download the The Big E PDF book file to your device from our checkout page and access it with the Adobe app or a similar PDF reader. If you need help choosing a format and downloading eBooks, click here. Of course, a traditional print edition can also be purchased at the BrainFood Bookstore. From its origins, the Big E pledged to "do things of import." Each successive year found it offering even greater promise for the future… until another kind of promise was broken. When the federal government reneged on contractual promises it made in connection with Empire’s assumption of thirteen failed savings and loan associations during the “thrift crisis” of the 1980s, the bank’s great hopes and dreams were tragically “stolen,” and the bank was forcibly liquidated. While the bank’s protests against such appropriation were ultimately upheld by the Supreme Court of the United States, the decision came too late to save the bank. What was saved, however, is an invaluable saga of one bank’s ingenuity and industriousness in the face of unprecedented economic turmoil. This book tracks the history of the savings industry in the United States and documents how, for decades, federal and state governments dabbled destructively in an inherently free marketplace to advance faulty policy agendas which ultimately brought about the unwarranted decimation of an entire industry. ​The story in these pages gives real meaning to President Ronald Reagan’s admonition in 1982 to business leaders: “If you go to bed with the government, you can expect more than a good night’s sleep.” Hopefully, the events recounted herein will serve to alert future generations to the kinds of calamities that can be wrought by virtue of the frailties – and, often, the disingenuousness – of governmental promises and pledges. Return the form below to get a coupon code and then click here to use it at the the Bookstore. A 100% discount for Big E employees and shareholders! 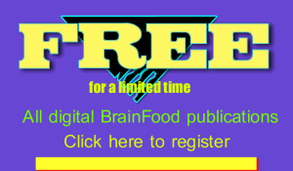 ​Your FreeAccess Code will immediately display at the bottom of this page. ​Paul Willax and Center for Business Ownership Inc.